If you’re used to other tablets, chances are they would have been smaller than the Tablet 2 Pro – this thing is massive. The screen comes in at 13.3”, and packs a 2560 x 1440 resolution, giving you a pixel density of 221 ppi. It’s great for reading text and browsing the web on while the bright and vivid colors help make your photos look fantastic. The viewing angles aren’t too bad, so there’s not much to worry about what angle you’re looking the Tablet 2 Pro from. The Tablet 2 Pro consists entirely of plastic, except for the great big round cylinder on the bottom, containing the kickstand, as well as the power button at one end, and the projector on the other. Due to the size, it can be a little awkward to hold, but the rounded edge makes things a little easier to use even with one hand. The cylinder at the bottom is where the kickstand lives – pressing the button on the back of the Tablet 2 Pro releases the kickstand, which can be adjusted to suit. I found the stand quite stiff to move – there’s a bit of a worry if you’re pushing it too much, but I eventually got used to it, and it may loosen up overtime. 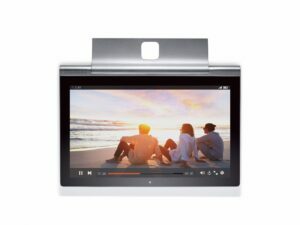 There’s also a ‘hole’ when the kickstand is opened up, in which Lenovo promotes the idea of hanging the tablet – I personally couldn’t find any use for this – but some may find it useful. On the right side, the projector makes an appearance. 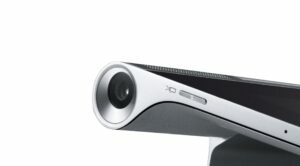 Lenovo suggests that it’s good for up to 50 inches, before the quality starts to worsen, and the button to power on and off the projector is located just above. The left side houses the great big power button, with the headphone jack, Micro-USB port and volume buttons above. Both ends of the bottom cylinder are where the speakers are found – each speaker is a 1.5W speaker, and the 5W subwoofer is found on the back of the Tablet 2 Pro, near where the button to release the kickstand is found. There’s two cameras on the Tablet 2 Pro – there’s an 8 megapixel camera on the back, which lacks autofocus and flash, and has a 1.6 megapixel camera on the front. The photos taken by either camera are OK, but they won’t replace the phone or any other camera anytime soon. Inside the Tablet 2 Pro, you’ll find the quad-core Intel Atom Z3745 CPU, clocked in at 1.86GHz, with Intel HD Graphics, and 2GB of RAM. It’s got a microSD slot supporting cards up to 64GB, but it does come with 32GB of internal storage. 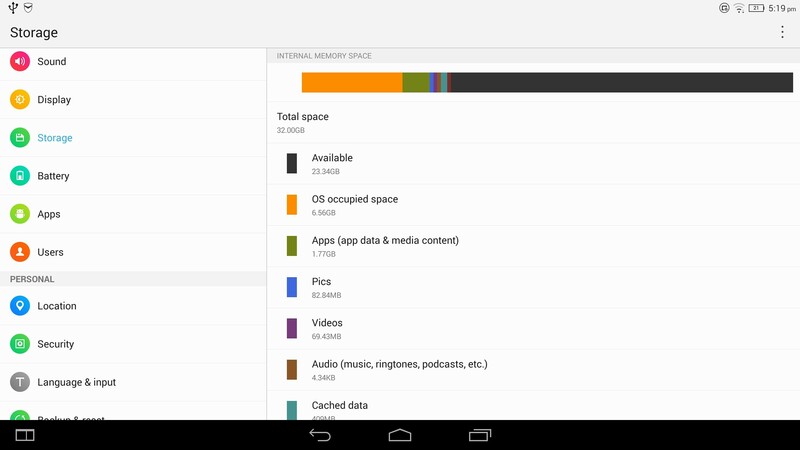 Out of the box, Android takes up 6.5GB, leaving you with around 25GB of available space for apps and media. 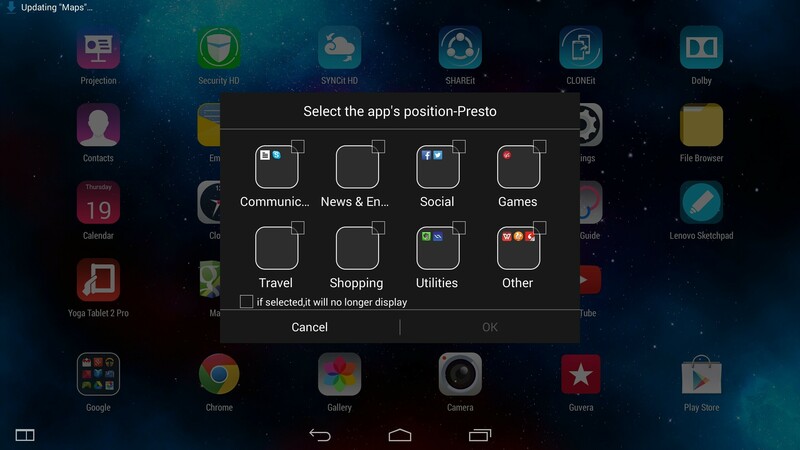 Of course, you can also insert a microSD card if you wish. 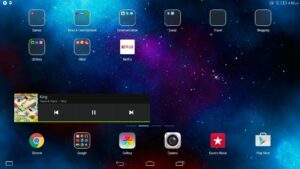 Performance is more than acceptable – animations were generally pretty smooth when using the Tablet 2 Pro, and it handled running multiple apps with no issues. Opening apps, watching videos all worked great. The app switcher also shows how much RAM Is available, which is interesting to see, when performance can start to get a little choppy. 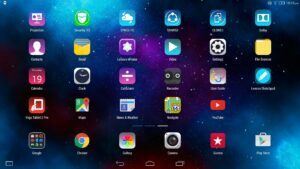 When it comes to battery life, I managed to get around 8 hours comfortably with my general use; streaming music, web browsing, the occasional video and email writing. Lenovo claims a 15 hour battery life which seems more than reasonable if you’re only using it for light web browsing, and have the brightness turned down a little. It’s great to see the Yoga Tablet 2 Pro use a standard microUSB port – so you can use any cable you have laying around, and you can charge it off other devices. Just remember that it will always charge fastest with the included charger, though. 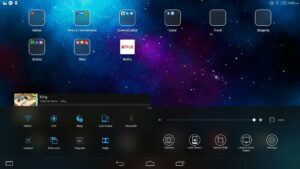 In terms of software, the Tablet 2 Pro comes with Android 4.4.2, with Lenovo’s own very iOS inspired user interface and also the usual suite of Google Apps. Bundled apps include ‘Security HD’, a bunch of Lenovo’s other apps (SYNCit – for backing up contacts, SHAREit – for sending photos and other files between other devices, and CLONEit – for quickly moving apps, contacts, photos, etc between devices), the Dolby app (a fancier equaliser app) as well as apps like Brewster, Guvera and Kingsoft Office. ‘Security HD’ seems like a pretty unique (and useful!) 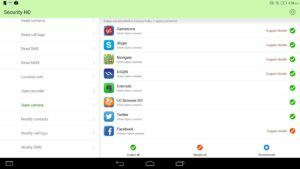 app – similar to iOS’ privacy settings, you can manage permissions on a per app basis, rather than the standard ‘all or nothing’ built in to Android. 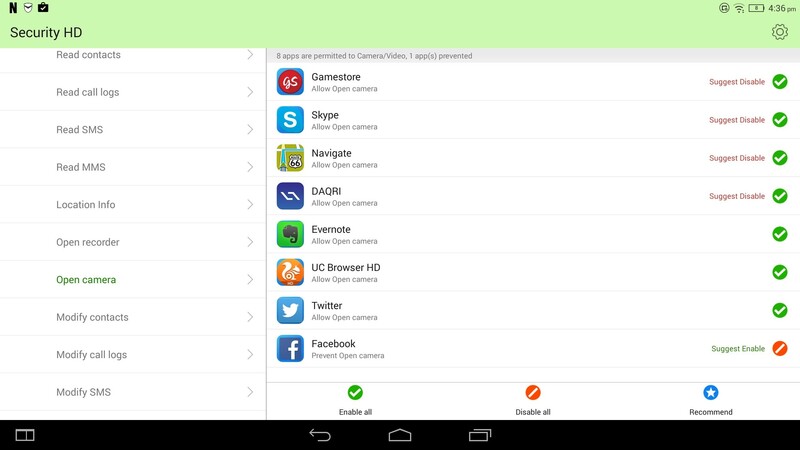 For example, you can disable access to the camera while allowing all other permissions. This is a nice app to see included, in my opinion. Perhaps the only negative is the persistent notification shown about ‘always protecting you’ in the notification drawer. 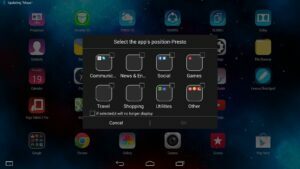 Lenovo’s tweaks to Android might confuse anyone that’s used to a more ‘stock’ Android; with the app launcher using an iOS style ‘springboard’, there’s no app drawer – every app is listed on each page of the home screen, and you’re asked to sort apps into folders after installing them. 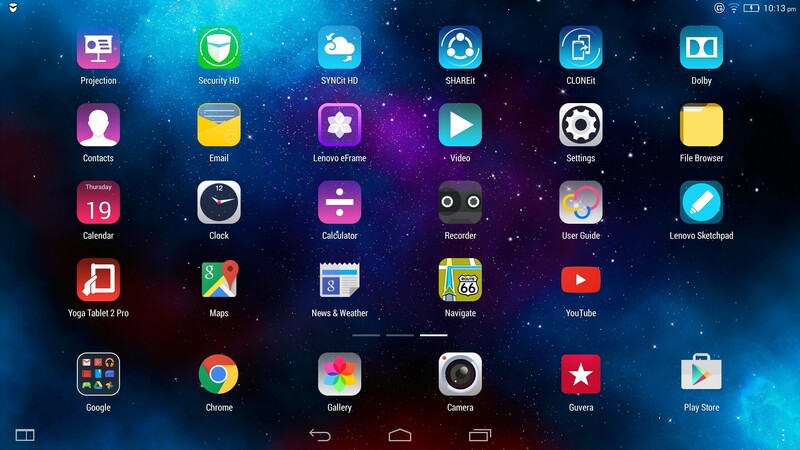 This is rather different when you’re used to Android on other devices, where every app lives in the app drawer, and only some live on your home screens. 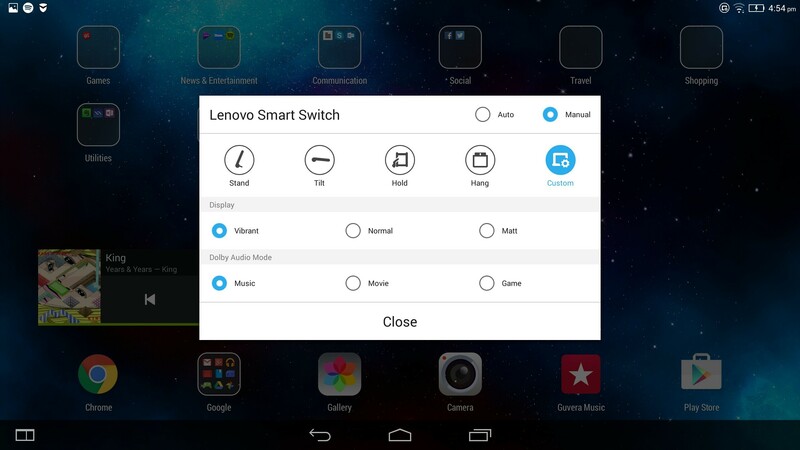 The quick settings drawer has also been ‘relocated’, and Lenovo have added their own, which is found by tapping on the home button and dragging upward. There’s ‘some’ multi-window support here, but only six apps are supported – Chrome and Lenovo’s own apps (Email, Gallery, File Browser, Calculator and Video). So you can’t have Outlook open and Netflix open ontop of it, sadly. 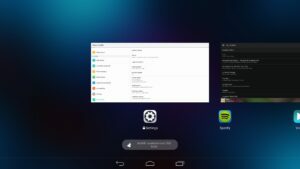 You can have up to four of these apps open at the same time. 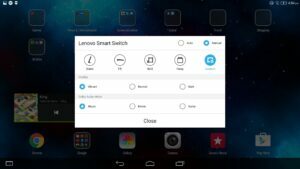 There’s also ‘Smart Switch’ installed – which can change the ‘display’ to Vibrant, Normal or Matt, and the sound equaliser from Music, Movie and Game depending on how you hold the tablet. For software, it’s disappointing to see some apps aren’t supported on the Yoga Tablet 2 Pro, such as the Microsoft Office suite. When it comes to the software implementation of the projector, you can enable it from the quick settings drawer, press and hold the button on the side of the Tablet, or open the projection app. Unless you’re using the (limited) projection app, everything projected is an exact mirror of what’s on your screen. Other apps were fine, such as Netflix, Stan, Spotify or YouTube. 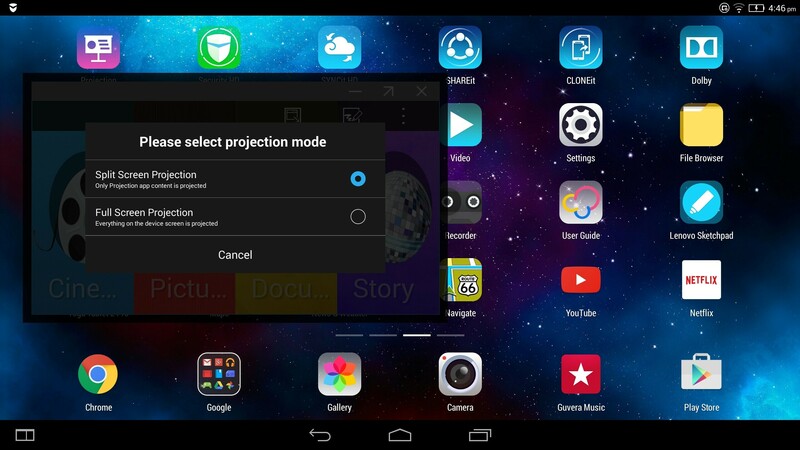 You can use the projection app to project videos or photos, while being able to use other apps on the screen at the same time. The projector definitely isn’t the brightest, so you really do need a pretty dark room to let it shine. You might be able to get away with a lighter room, but with only passable results. 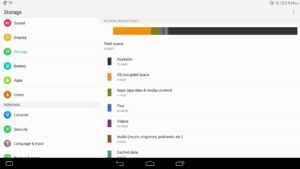 It’s great being able to project videos against a wall with just a tablet, and I can see how this would be good for road warriors, or for kids to watch videos from mum and dad’s tablet as an example. If you’re after a massive tablet, the Yoga Tablet 2 Pro is definitely worth considering. It would be great for the road warrior that might have to give presentations on the road, and who doesn’t want to bring a laptop and projector along for the ride. Otherwise, it makes for a pretty neat media consumption device, and the giant screen would also go well paired with a decent keyboard. The hardware quality of the Yoga Tablet 2 Pro is solid, the kickstand is great, and has an amazing screen. It would have been great to have the option to get a model with an inbuilt 3G/LTE modem too, as is available overseas. The projector might appear a bit gimmicky, but it will have it’s uses for some of you.. Just a few software quirks, but overall not a bad device to use. 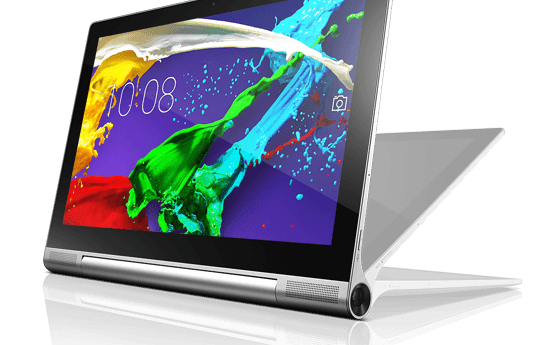 You can grab the Lenovo Yoga Tablet 2 Pro for $799 directly from Lenovo online or your favourite retailer.